March 1 marked a sad anniversary: two years since Andrew Breitbart passed away at the far-too-young age of 43. This morning, as we launch this year's CPAC, I look back on Andrew’s legacy, what it meant, and what it can continue to mean for Texas and America. 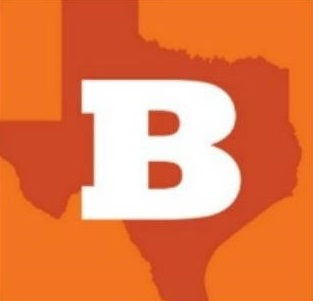 The trailer for the documentary Hating Breitbart, which highlighted some of the more egregious examples of bias by the media and the institutional left in America, famously ends with Andrew throwing his own challenge back to those who have attacked him and the conservative movement, declaring a final word, “War!” in a growling whisper…but then smiling. To me, that smile says as much—if not more—about what motivated Andrew than the words that preceded it. Anyone who ever heard Andrew deliver a speech knows he was no stranger to getting loud and angry, but there was an undercurrent of joy in his efforts. The greater the challenge, the more powerful the opponent, the more he enjoyed the battle. The thing is, I like playing by the rules that they're not willing to play [by]...they get away with stuff but I'm willing to play by the rules...I actually like being held to the strict standard, I like the idea that I'm fighting them with my hands tied behind my back, because when I beat them, it makes it all the more fun. Andrew wasn't from Texas, but the spirit that drove him certainly resonates strongly here. I moved to Texas myself just over a year ago, and work at the Texas Public Policy Foundation, where our president, Brooke Rollins, frequently cites examples from Texas history to challenge others to fight for the cause of liberty. From the very beginning of the state's history, the story of Texas is a proud tale of fighting against absolutely hopeless odds, yet prevailing nonetheless. And with that message, the fight was inevitable and the Texas Revolution began. My friends, the Texans chose to fight, despite having no army, despite having no government, and despite having no hope of aid from any corner. Every rational calculation should have told them to submit, but as Winston Churchill said, just over a century later, "the destiny of man is not decided by material calculation." The Texans fought not because the odds were in their favor, but because they savored freedom. The Texans fought for freedom, not because the odds were in their favor, and we continue the fight today. We fight, not just because it is the right thing to do, but because, for those of who cherish liberty and freedom, there is no choice but to fight. And, thanks to the example of Andrew Breitbart and the many who he inspired, there are more ways to take up that fight than ever. Let's go get in the fight.